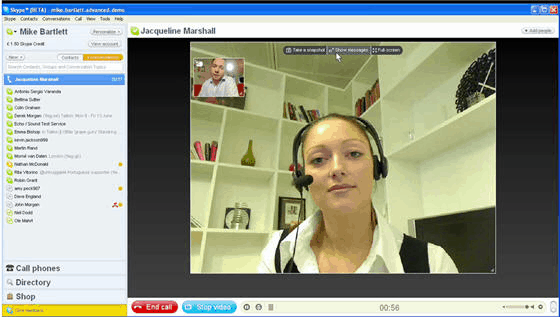 These are the tools you will need for your very own professional virtual office. Keep it simple and you can travel and work without a hassle and still keep a professional appearance. 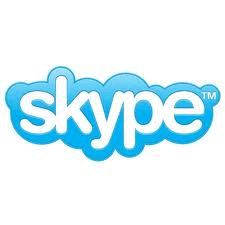 Get a Skype in number and Skype subscription, this will set you up with voicemail, a local number in your area. You will be able to make and receive calls from anywhere in the world. If you have an existing number you could forward this to Skype to pick up calls from your computer in other countries. Might save on global roaming costs which can get expensive. You’ll also need a good phone headset for your laptop if your out of the office. If you plan on picking up skype calls in your small office or home office the Philips VOIP321 handset can connect to Skype so the phone rings like a regular landline. This can save the telstra line rental and also allows remote access to answer your calls through Skype. You might have files on your laptop but its always good to have them backed up. The other issue I have is working on multiple computers and accessing the files across both. There are a couple of great tools that can help you do this for free, both give 2GB free synchronised storage (think automatic backup). How to keep all your sent and received messages in one place across multiple computers and mobiles or when travelling. Its a big problem these days but fortunately there’s an easy solution. IMAP mail protocol has been around for a while and handles just this issue. Instead of picking up the mail from the server it just synchronises it, including your sent mail. So you can pick your mail up using IMAP from multiple computers or smartphones and the inbox and sent items will remain synchronised. It even synchronises the drafts which is handy for those half baked messages. What if you’re out without your laptop and want to type some long emails. That’s where some type of webmail is handy. To handle this what I do is collect all my email addresses in a free Gmail account. From Gmail I use IMAP to synchronise Gmail inbox with my computers. I can then access Gmail inbox from my iPhone and Gmail web interface. This is handy for checking mail on the go. any documents you are collaborating on such as word docs and spreadsheets can be uploaded and edited here. Having a single place where all your to-dos are permanently stored and easily accessible will allow you to relax, knowing that you won’t forget anything. Toodledo’s hotlist, email and sms reminders, and sortable online to-do list will help you remember to complete tasks on-time. For those of us who are procrastinators, Toodledo has a special tool that analyses dates, priorities, time estimates, and other characteristics to create a customized schedule of the best use of your time. Easily work with other people on shared projects with Toodledo’s collaboration tools. A permission system allows you to set exactly who has the ability to read, add and edit your tasks. How do you collaborate across the web. Please let us know if you have any suggestions or comments below.